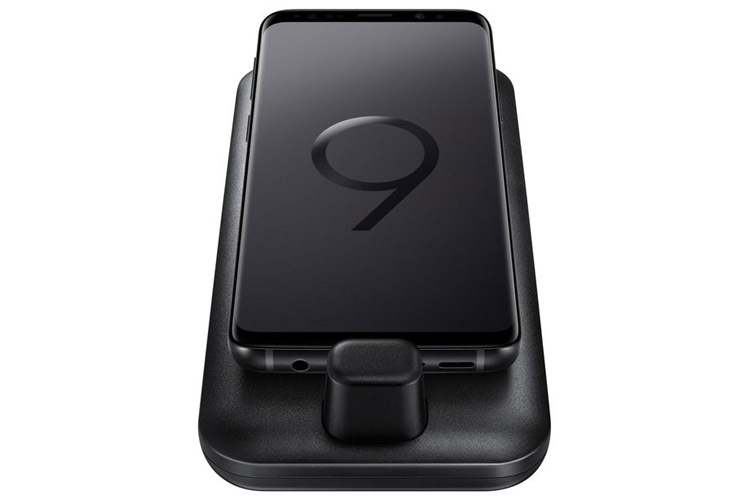 We still have a couple of weeks to wait until Samsung officially unveils its latest flagship smartphones – the Samsung Galaxy S9 and Samsung Galaxy S9 Plus – however, you can pre-register your interest in either handset now. The full information spill today is actually focused on a new Samsung DeX Pad, which appears to be an evolution of last year’s $149 DeX dock for the Galaxy S8. The purpose of these docks is to facilitate connection between the Galaxy device and a nearby monitor, with the smartphone then functioning more or less like a PC. The DeX Pad includes additional USB ports plus a full-size HDMI output and a USB-C connection for power. It doesn’t look like the prettiest accessory in the world, but then it’s not like too many things will look beautiful once you stick a bunch of cables into them anyway. The pad’s reportedly intended to allow the phone to be laid flat and used as a touchpad or keyboard, and it’s expected to be backwards-compatible with the Galaxy S8 too. So is there anything we don’t know about the Galaxy S9? Well, we still don’t know its exact specs. Rumors say both the S9 and the S9+ will run on the new Snapdragon 845 chip, with 64GB of storage (further expandable via microSD cards). The S9+ might come with 6GB of RAM while the S9 will probably only have 4GB. The Samsung Galaxy S9 and S9+ are scheduled to be officially unveiled on Feb. 25, ahead of Mobile World Congress in Barcelona.